My fiance grew up in foster care because his bio mom was a drug addict. I was wondering if you thought that going to an Al-anon meetings would help him cope with the past troubles? We now have a daughter and I can tell he wants to trust her but is having a hard time. I just want my daughter to know own her dad,but I'd like to know how he could begin to trust her? I thinl Al-anon would be very helpful for both of you. The short answer is yes I do think Al-anon would be helpful for both you and your fiance. Going to Al-anon and working the 12-steps allows us to process the wrongs that have been done to us and also the wrongs we have done to others. I have found that the best way to deal with the past is to fully understand it, process it and to learn to forgive the harm that we've experienced from others. We also learn to forgive ourselves for the harm that we have done. Both are equally important. I had what many would consider a very difficult childhood. Both my parents had issues and tended to take it out on the five of us. 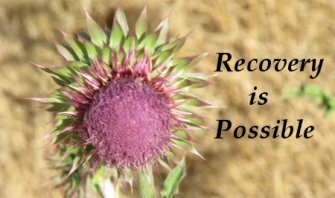 Working through the 12-steps at Al-anon has allowed me to see things from a different prospective and has also allowed me to forgive and accept my parents. Through this process I've learned to be much more open and trusting with people and it has allowed me to soften my heart rather than being on guard and defensive most of the time. If your finance works through his past, he will likely be more open and trusting with his daughter. You'll benefit because you learn the best ways to deal with your finance so that you don't inadvertently make his issues worse, or enable inappropriate and destructive behavior.